What's the weather forecast for Waterville Valley this week? Check out the long-range weather forecast for Waterville Valley, including temperature, predicted snowfall and wind details at the summit and base throughout the day for the next week. Tab over to overview or Hour by Hour for alternative views of the Waterville Valley weather forecast. 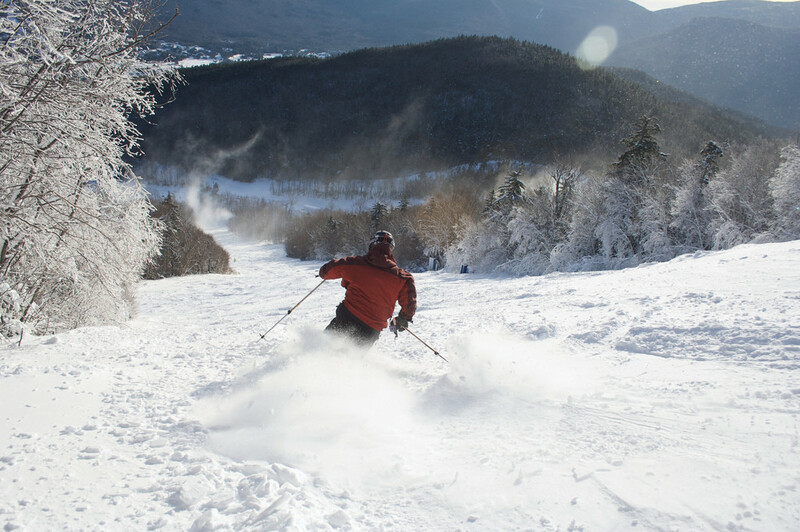 Get Snow Reports, Powder Alerts & Powder Forecasts from Waterville Valley straight to your inbox! Only one lift open this morning due to high winds. Snow in good shape early. Bring an extra layer. 3/2/10: Icy and crowded most of day Saturday. 1" of fresh stuff is not enough with the level of traffic on the hill. Snowed throughout the half day I was there. Only lower mountain was open due to wind closure. Real bummer. Otherwise snow was great. Good conditions and minimal crowds on 3/18. Saturday 2/17/18 beautiful day at Waterville. 1st time there. The mountain was hard and fast and skied off hard pack by the end of the afternoon. Extremely crowded in the morning with Massachusetts vacation week but the afternoon was perfect with no lift lines. Most of the powder got skied off so it was mostly mogul skiing down the trails. Some of the far left trails remained mostly untouched however and Green Peak was not bad either. There was some light snow throughout the day as well. But I would wait until MA break ends to head up, othereise there is just too many people to make it worth your time. Hope the temps stay cold up there! Great snow yesterday! Good resort!